The Danes have a word for it. Hygge. Pronounced Hoo-gah. And there are many books lately trying to define it and tell us how to embrace it. Whether it is comfort or mindfulness, embracing the moment or enjoying life’s simple pleasures, it is certainly one of the reasons that my birthday trip to Denmark was so special and so difficult to express in words. They simply can’t translate what happens in your soul when you go out there. Denmark is said to be the happiest place in the world. In its time it has also been a leading light in history, in the world of design, architecture and more recently in the world of food. The Danes shun hierarchy or fakery, they don’t have high rise buildings that encourage another just a little bit higher, they don’t reward oneupmanship and they don’t really do the classes. The most common form of transport is a clapped out old bike. No need for flashy cars here. It’s all understated elegance. 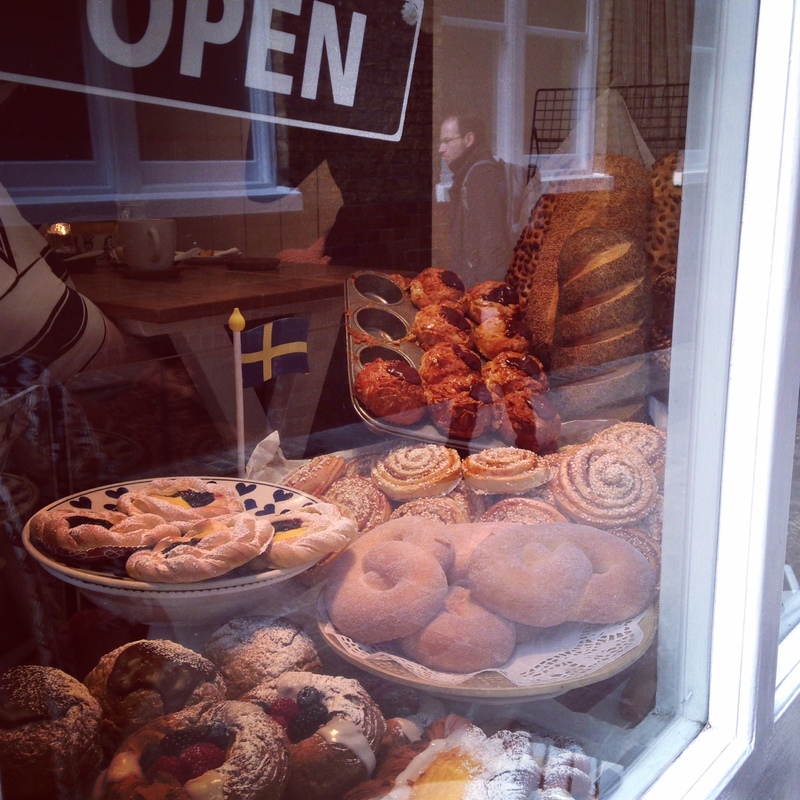 I realised going around Copenhagen that I grew up with mid century Danish design at home. The simplicity and clean lines are something that stood the test of time. Arne Jacobsen chairs, Pole Henningsen lights, Georg Jensen silverware. On a recent trip, the designs were all very apparent in so many places. Illums Bolighus is a fantastic department store showcasing Danish designers across their four fabulous floors and is a must go place to shop. Just opposite lies Hay – a lesson in retail homewares and display that everyone should learn from. Totally unique and inspiring. And then of course there is the food. The Danish food scene has long been on the list of those interested in food, encouraged by the Noma craze that has gripped Copenhagen since they beat El Bulli to the number one spot in Restaurant Magazines world’s best restaurant list in 2010. It defined this “new Nordic” cuisine and was instrumental in challenging chefs from across the country and indeed the world into going back to the roots, literally, of ingredients and food. Whilst fascinating and surely a wonderful place to go, it didn’t appeal to me and as this was a big birthday celebration, I opted for anything but Noma itself. Many of the places recommended to me were headed up by chefs who came through the house of Noma but spread their wings further. We ate so well whilst we were there and only once had a disappointing meal, which was ironically the most upmarket place we went to. Even there, the roast celeriac with chestnut beurre noisette was awesome, but the rest – well let’s just leave it there. Explore Paper Island and all its food stands. Queue up for hot chocolate at La Place but don’t be tempted to anything other than share one of their overpriced and somewhat disappointing traditional cakes. Too rich for us. Chill over a beer at the old meatpacking district of Kodbyens. Many recommend Kodbyens Fiskebar although it wasn’t one of my favourites. I preferred our meal at Kul. Louisiana Museum of Modern Art which is well worth the train journey out of town. Make sure you buy your ticket at the central station so that you get a combination of return train and entrance fee all in one. Just walk or bike the city and discover all the incredible buildings and places on the way. From Torvehallerne to Nyhavn it is only a 10 minute stroll so take it all in. Walk through the amazing cemeteries. You can see where Hans Christian Andersen is buried in Assistens or walk through Solbjerg before getting up close and personal with the elephants in the Copenhagen zoo! just by strolling through the adjacent park. There is so much we didn’t get round to seeing and that’s great because there is a good reason to go back. And then we left to go west – the best reason to go and one for another story another time. I found out this weekend that my picnic concept won in the Wallpaper Design Awards 2016. Created this Summer I was trying to bring something new and innovative to the offer at Melrose and Morgan and it seems I achieved that. It is always difficult to come up with something truly original especially in the food retail world as it is so full and fast moving. However I am a strong believer in innovation driving success in business and that meant that I had to come up with something new that would meet the demand of my customers, the approval of the team and also stand out from the crowd. I had been collating interesting packaging ideas on my Pinterest board for some time and it was clear that there were lots of great new designs using cardboard engineering to replace more costly and cumbersome solutions. I find Pinterest a great way of saving creative ideas especially as I am such a visual person and you can see elements of various projects I have worked on over the years grounded in my different boards. Added to that was the fact that people’s tastes in food have been changing a lot. The traditional wicker basket hamper felt too staid and restrictive to me. Some people may want to plan a full blanketed, basket based experience but I think we are increasingly spontaneous in our food requests these days especially where outdoor eating is concerned. We Brits like to take advantage of the good weather and as it is pretty unpredictable I felt we needed an offer which was flexible. It could be a few pieces of great cheese, with crackers, tomatoes, chutney and a bottle of wine as much as an organised spread for 12 to lay out in the park. In addition I wanted to give my shops a more flexible solution to selling picnics because I think it is challenging for shop floor staff to sell a high priced item in a fast moving casual retail experience. By bringing in a set of trays for two people to mix and match I was able to get more choice on display, better perceived value and arm the team with something that they could get behind every day for a variety of customer needs. A search online brought the inner boxes that I needed to light which was most definitely the easy part. And populating the ingredients of each box: Meat; Cheese; Fish; Veggie; Dessert was as simple as cherry picking from our great supply base and engineering to fit the boxes (and the margin!) – a bit of work but all within the realms of a days work. The hard bit was the cardboard outer that really pulled the whole thing together. The design brief was fairly simple once we hit upon the idea of selling where in London to have a picnic and the maps inside were well created by the team. But the specification of the cardboard itself proved to be the challenge. The general shape was dictated by the inner boxes, but the handle and its ability to hold all the contents without ripping was more about engineering and I have to say this is not my forte. Many a trial of swinging the contents back and forth in the office resulted in packets of smoked salmon and pots of desserts tumbling all over the floor. It was all too easy to just walk away but that’s just not in my nature. We asked advice of the printer, of qualified specialists and in the end my colleague’s hubby, who proved the most helpful and a week before launch, a day before the team were going to tell me to give it all up, and on our fifth attempt we quietly, tentatively built our picnic, lifted it carefully off the desk, gave it a small swing, then a larger one and finally a swing that was more appropriate to engaging a child at play and hallelujah. The cardboard held. Over the Summer we had some great press pick up from Harpers Bazaar and Wallpaper to Grazia and Stylenest for our new picnic and it was satisfying to see our customers respond so well to the offer even though the weather didn’t exactly play its part. By the end of September we had seen good sales growth and it was a campaign success for us. The icing on the cake came this weekend with the news that Wallpaper had recognised the design as award winning. As someone who loves design and creativity I am very proud to have the work we all contributed to getting this made given such a prominent accolade. Now all I have to do is think of something to move it on for next year! 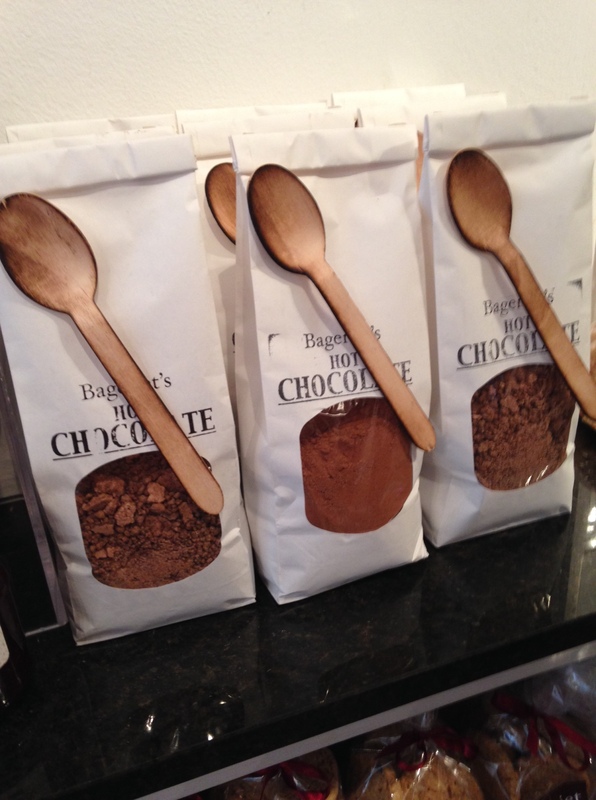 This weekend I finally found myself visiting Bageriet, a small Swedish bakery on Rose Street, Covent Garden which is run by a pastry chef that I previously worked with and a place that has been on my list for over two years now! Daniel Karlsson was born in Sweden and won many accolades during his training and early years before coming to London and starting his career with the team at Ottolenghi. After some time there he joined my current employer, Melrose and Morgan and really expanded their range with his skill and expertise. Daniel is that rare thing in the food world…. a beautiful, calm, talented and industrious pastry chef. Now you would think this is not such a rare thing but believe me, as someone who is trying to find just such a person to be in that role at the moment. The lesser spotted pastry chef who wants to work the crazy hours, retain that sense of calm and beauty as well as creativity is hard to come by. I remember my early years at Melrose and Morgan, turning up one Sunday to get ahead with a Christmas project thinking that there was no one around to disturb me. I arrived to the sounds of classical music soaring through the air and was immediately offered breakfast from Daniel: a bowl of hot porridge and caramelised apples with the perfect balance of spices to bring out the flavour and sweetness. I left him to his Christmas baking and some 7 hours later, he quietly ascended the stairs to the office armed with a small tray bearing a simple slice of salted caramel chocolate tart because Daniel knew that this was a favourite flavour of mine, so he knocked it up after he had finished the Christmas cakes and brought it up with a cup of tea. What more need I say? When he left to do his own thing, I wanted to help as much as possible just because people like him should be nurtured. I supported him in getting his stunning giant gingerbread houses into the department stores managing to use my contacts to get him in front of Harrods with no agenda other than to support this fabulous chef but sadly the management there couldn’t see beyond the meeting to understand just how valuable Daniel was and his seasonal creations did not make it to their shop floor. It was a big mistake in my opinion as they would have sold loads…. and differentiated their offer from all the other department stores in London. But it was not to be…more, I fear, because of my presence than Daniel himself. Daniel subsequently asked me to write some copy for his website which I gladly did. 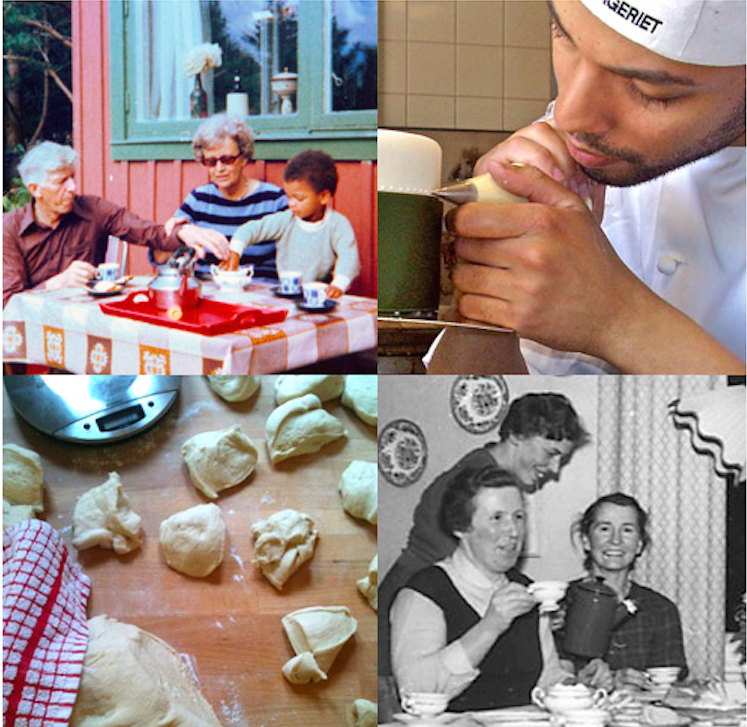 I asked him where it all started and he said it was with his Grandma back in Sweden, and all those memories of being a child in the kitchen, as these pictures from his website show. I was reminded of this conversation whilst I watched Chef’s Table – a Netflix series that L&B recommended and worth looking up if you are interested in chefs and their inspiration. The series covers 6 chefs and their story. Each is different but there is no doubt that their drive and passion for food generally comes from their upbringing and either their mother’s or grandmother’s influence (no pressure all you parents out there!). Massimo Bottura remembers running away from his siblings and hiding under the kitchen table where Nonna was making pasta, giving him a unique perspective above his head of that process which must have driven him to look at food from a different angle and create what is now the best food in the world (his restaurant is currently number 2 in the San Pelligrino world’s top restaurant list). Ben Shewry was inspired by both parents who lived off the land killing their own meat and growing their own produce. Niki Nakayama was compelled to prove herself to her Mum as an equally deserving child in a more traditional world where the son is seen as the rightful heir to the family business of food and parental backing. Dan Barber’s mother died when he was four so it was his father’s interest in good food that rubbed off on him, but it was his Grandmother’s farm that really stuck and now that farm is not only the name of his multi award winning restaurant but the farm itself also supplies and inspires his whole food ethos. It was these latter two in the series that we particularly enjoyed. 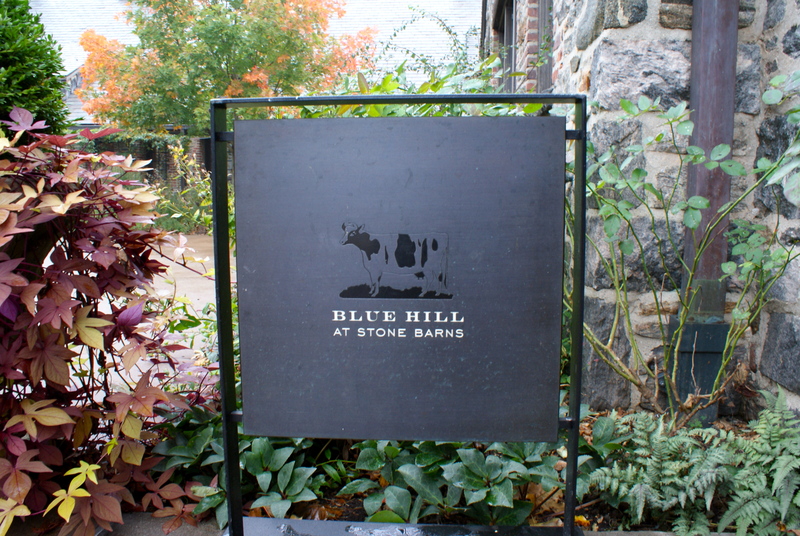 I was lucky enough to enjoy a meal at Blue Hill at Stone Barns with the aforementioned L&B some years ago and it didn’t disappoint. In fact for me, Dan Barber is challenging all the right issues and was before his time in understanding the source to plate story. 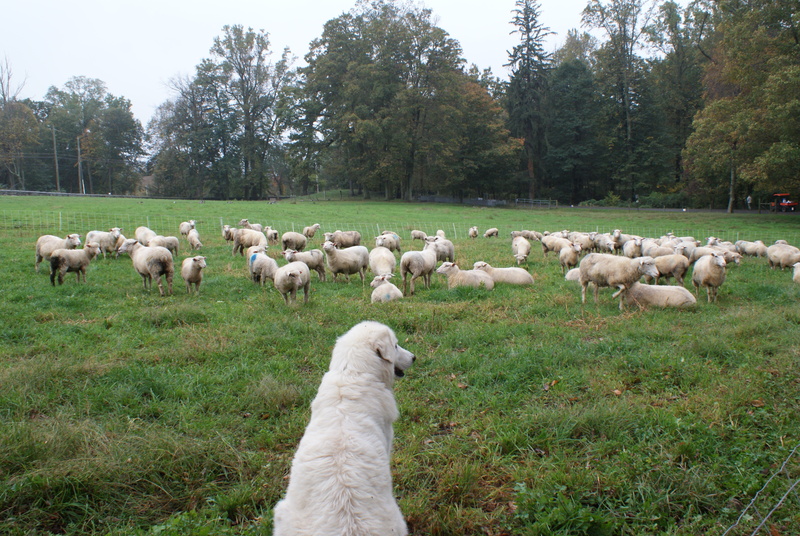 His team are there with him too – from the concierge who took us round the farm to the waiting staff who talked us through the meal, it was an all round experience that I would recommend.